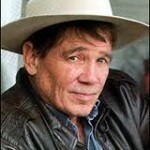 Mystery writer James Lee Burke talks about his latest novel in the Dave Robicheaux series, THE GLASS RAINBOW. And poet Doug Anderson reads two poems. Burke sees his fictional alter ego as the better man of the two — a hero who puts his life on the line defending the powerless and the abused. But Robicheaux is also haunted by his own psychic demons — his alcoholism, intimations of mortality, and moral ambivalence around the use of force against the forces of darkness. The setting for the latest novel in the Robicheaux series, The Glass Rainbow is the sugarcane and bayou country of Louisiana, where crime, corruption and the twisted strands of class and race are the ground for epic battles between good and evil. Robicheaux teams up with his best friend Clete Purcel to solve the mystery of the young woman’s murder. The trail heads at first into the seamier side of town, but then veers into a thorny thicket leading to the plantations of the most powerful people in the parish. Tune into this wonderful conversation with James Lee Burke as he talks about his latest book, what’s happening to the Gulf Coast in the wake of the BP catastrophe, the history of the region, and his writing. Also, Doug Anderson reads two poems, Petitionary Prayer on Nguyen Duy’s Roof, and a birthday poem, Sixty Seventh.